This photo was recently listed on EBay as being taken at the Florentine Gardens in 1944. And it caught my eye because it doesn’t look anything like the interior of that nightclub (a Buddha at the Florentine Gardens… you think?) The only ethnic decor at the club was the Zanzibar Room, which was the cocktail lounge and had an African motif. 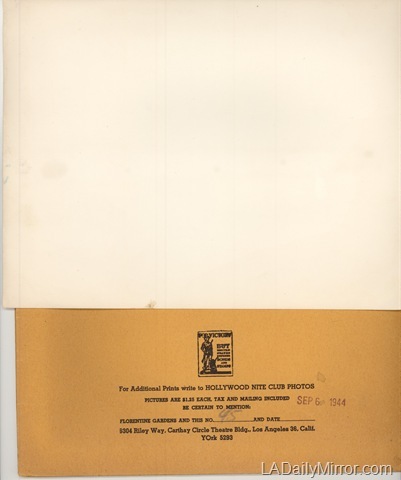 So I bid on it, figuring that it might show some rarely photographed part of the club, which was huge. Actually, no. The folder was genuine, stamped Sept. 6, 1944. But the photo was all wrong. And here’s what the back looks like. 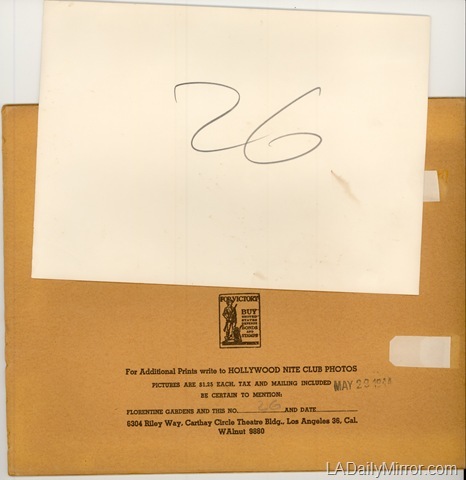 Notice that the folder number (26) has been written on the back of the print to keep the print and folder together. Here’s the fake Florentine Gardens picture, with a couple and the Buddha. Notice that there’s no tablecloth. And our happy couple has gotten cigarette ashes all over the tabletop. Very unclassy and very unlike the Florentine Gardens. And there’s no number on the back of our fake Florentine Gardens photo. Even worse, you’ll notice that the photo is too big to fit in the folder. Oops. So where was this picture taken? 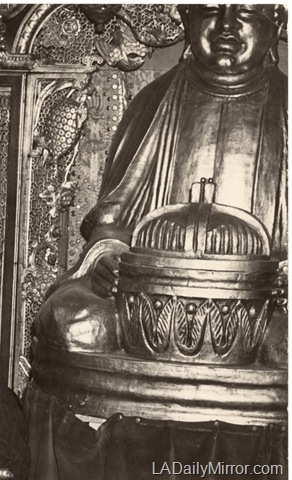 Only the Buddha knows. And he’s not telling. 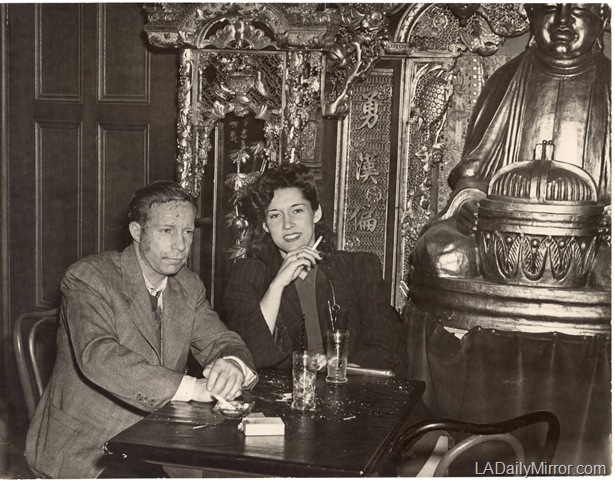 This entry was posted in 1944, Found on EBay, Hollywood, Nightclubs, Photography and tagged #EBay, #Fake, #Florentine Gardens. Bookmark the permalink.